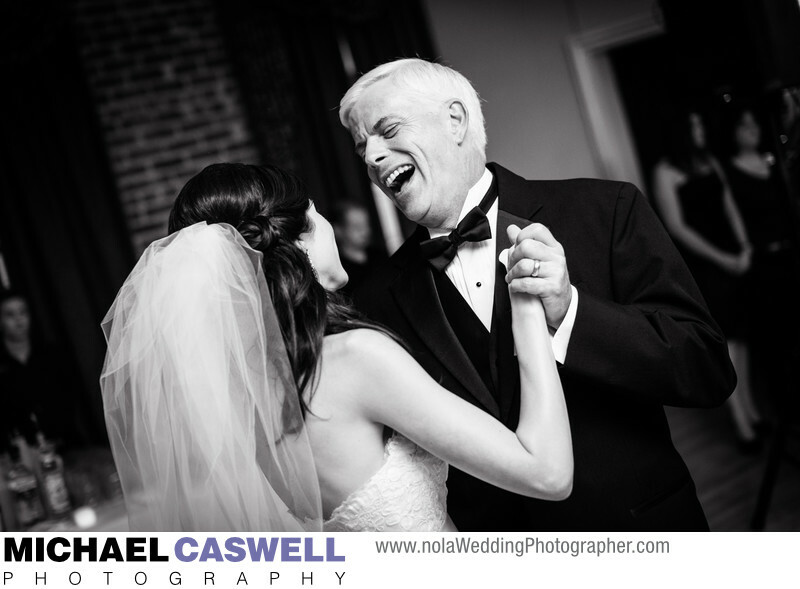 Father and bride share a joyous moment during their dance at the reception Muriel's in the French Quarter. The wedding ceremony had taken place just a short walk away at the Cabildo. This popular restaurant and amazing venue dates back all the way to the late 1700s and has a fascinating history. Its convenient location makes it a great reception choice for New Orleans wedding ceremonies taking place at the Louisiana State Museum or Jackson Square, both just steps away from Muriel's. Location: 801 Chartres St, New Orleans, LA 70116.